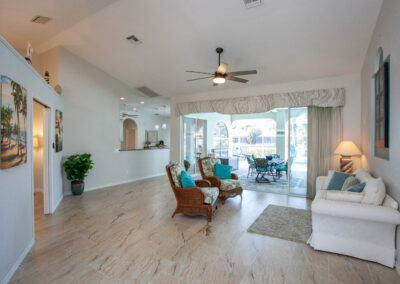 Waterfront Wonderhome! 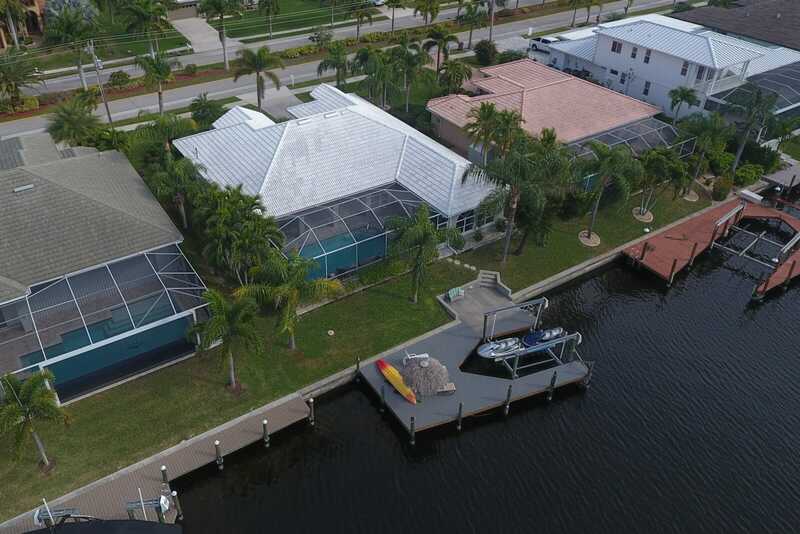 Live your vacation every day at this Direct Access (no bridges) home in the prestigious Sands neighborhood of Southwest Cape Coral, Florida. And watch the spectacular sunsets every evening over the channel. It’s a quick cruise to Cape Harbour & Rumrunners, and then Tarpon Point (Westin Hotel, Pinchers, Gather, Nauti Mermaid grill and bar) and out to the river, Gulf of Mexico, and Inter Coastal Waterway. 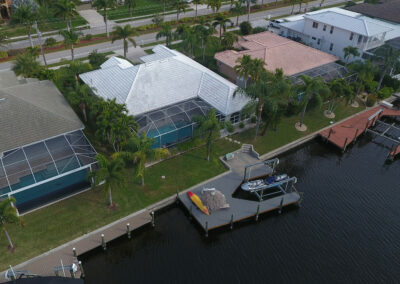 Set on a 200’ wide saltwater canal, this home has coveted Western exposure and sparkling views out the tall windows and many sliders. 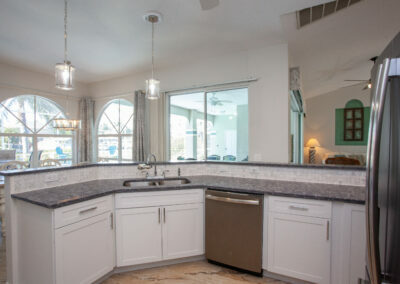 This home is 2,323 sq feet under air, and is a split bedroom plan with 3 beds, den, and 3 baths (2 full & a half bath pool bath). 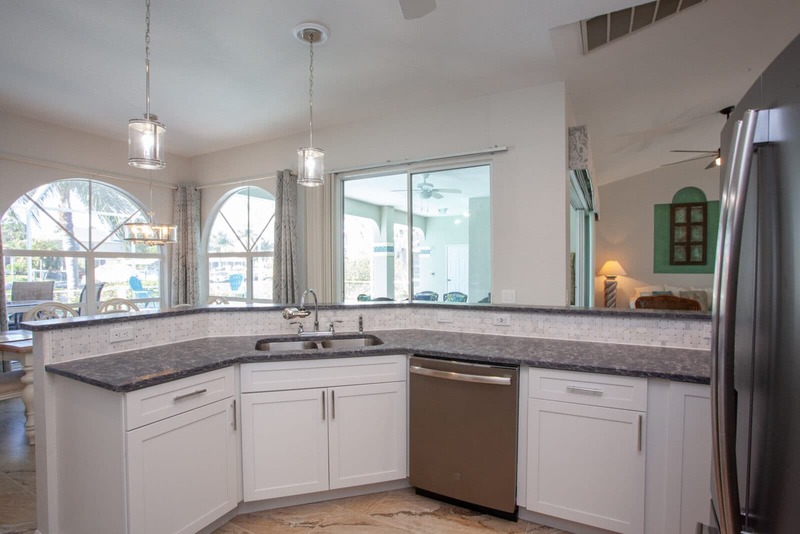 Remodeled in 2018 with new… tile & wood-like flooring,new lanai pavers, new kitchen, freshly painted inside and out, re-plumbed, refinished pool, and new composite decking on the oversized walk around dock with 10,000# lift. 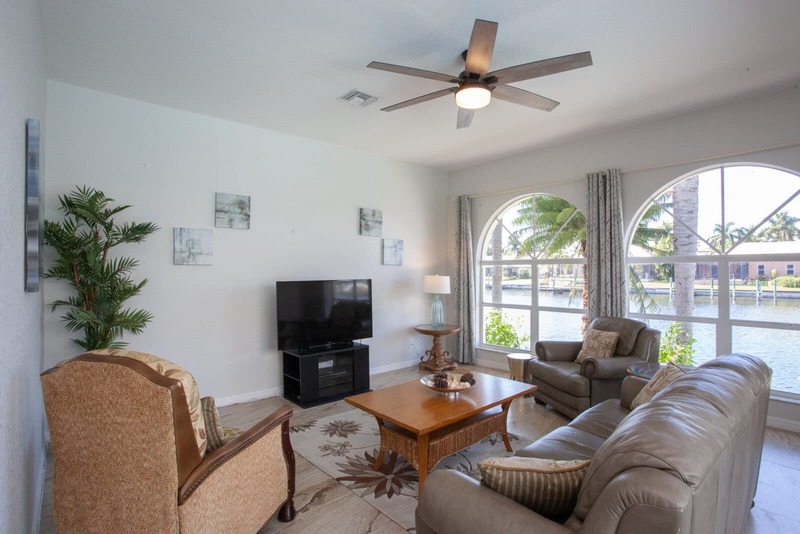 Live your vacation every day in this light and bright home, in southwest Cape Coral’s walk-able, bike-able upscale Sands neighborhood, close to many “foodie-heaven” dining and entertainment venues. A family home, vacation home, seasonal rental… endless possibilities! 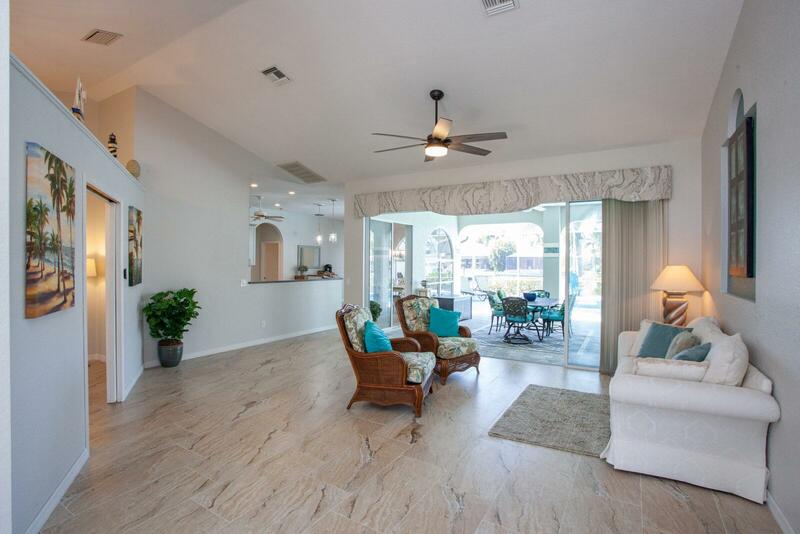 Please watch the Video Walk-through Tour to see just how wonderful this home truly is.